Even in a frozen metals price market, it only takes one event to shake off the paper manipulation keeping prices below what supply and demand fundamentals of a free market would dictate. And when that correction comes, it could happen quickly. In this interview with The Gold Report, The Morgan Report Publisher David Morgan shares his favorite ways to own leverage to metal prices upside while protecting against junior mining risk. The Gold Report: You and David Smith recently wrote a piece titled "Gold and Silver: Heading for a Blue Screen of Death Event." You compared the gut-wrenching panic of suddenly facing a computer that stops working with a precious metals market that seems frozen, in the case of gold, in sub-$1,200/ounce ($1,200/oz) limbo. But then you suggested that, like a Windows operating system, the metal could be rebooted on its way to once again hitting $1,900/oz. What would it take for something like that to occur? How do you hit Control-Alt-Delete on a commodity? David Morgan: The retail silver market is very tight and getting tighter. India has historically imported a great deal of silver. As the country became more prosperous and started building its middle class, more gold started going there as well. On the supply side, low prices are detrimental to the recycling of silver so there is less recycling in the market. It has been reported that it is virtually impossible to get gold in size off of the London Bullion Market, yet the prices don't reflect that tightness. TGR: What is keeping the prices down? What is causing the blue screen of death? DM: That is tough to answer without treading on the conspiracy theory realm. I don't like to deal with conspiracy theory. I like to deal in conspiracy fact. The fact is that the futures markets allow massive amounts of paper contracts that represent silver and gold and, for that matter, other commodities such as wheat or corn, to be manufactured at will for speculative purposes. That satisfies the demand without changing the real supply. Someone could buy what they think is a physical amount of metal through a major broker-dealer, but in reality only hold a claim on the underlying asset. This is fairly pervasive throughout the precious metals industry. "Bear Creek Mining Corp. just released an updated feasibility study on the Corani project and it's exceeding our initial expectations." The Dutch bank ABN Amro had stored gold for clients for multiple years, and when the bank got into problems, the clients were informed that they would have to take a cash settlement for their gold. The Texas Teacher Retirement System has requested gold be delivered from the Comex to Texas. That's "in work" and could put more pressure on the paper gold problem if it doesn't materialize. This problem has come to the fore several times, and yet it has not yet disrupted the market. However, I think that day of reckoning is closer because there is more of this going on and the premiums are so high. That is a direct indication that prices are not reflective of the true supply/demand fundamentals. However, to be fair, the premiums can come back to "normal" once the market quiets down. TGR: Short of banks not being able to deliver precious metals, are there other black swans that could shake gold and silver prices out of their current state? We had the Chinese stock market flash crash, and gold and silver went up a little bit, but dropped back down again in a few days. The market is still focused on a possible federal Reserve interest rate hike by the end of the year. What could it take to reboot? DM: Those things have an effect. Physical gold is the most negatively correlated asset to the stock market. That means that we should see an increase in the gold prices in a declining stock market environment. This has taken place at very minor levels so far. We have seen in the past that small events people would have brushed off in years gone by can mysteriously rock the market if they develop momentum. Jim Rickards talks about the avalanche theory where it's that one additional snowflake that sends everything crashing down the hill. Naming that snowflake in advance is difficult, but we are poised for some kind of disruption. TGR: When it happens, how quickly could it happen? DM: These things happen fast. The problem builds and builds and builds, and then just a little bit more pushes the shift faster than you might be able to adjust your portfolio. TGR: How much higher does silver need to be before the primary silver producers are doing more than just trading dollars? DM: It varies from mine to mine, but I'd say somewhere around the $22/oz level would be beneficial to most primary silver producers because energy costs are so low currently. If energy costs increase then than number goes up, of course! TGR: Because silver is often a byproduct, it will probably continue to be produced regardless of the price or the demand. Are there some companies with accidental silver exposure that are worth considering for someone who wants to get leverage on future higher silver prices? DM: Big mining houses, like Rio Tinto Plc (RIO:NYSE; RIO:ASX; RIO:LSE; RTPPF:OTCPK) or BHP Billiton Ltd. (BHP:NYSE; BHPLF:OTCPK) mine a lot of silver, but they are not leveraged on silver prices. I've actually calculated the impact $100/oz silver would have on their annual statements and it is almost an insignificant difference. These are primary producers of lead, zinc, copper, tin and nickel. The silver component is so small, it doesn't really have much effect. "You don't need to look much further than MAG Silver Corp. if you're really a silver bull." Some of the zinc properties have pretty good silver exposure. Trevali Mining Corp. (TV:TSX; TV:BVL; TREVF:OTCQX) is one of those, and we're very happy with that call. We were one of the first to call the upcoming zinc shortage because some massive mines are winding down at the end of their life. Trevali does have a pretty good silver exposure, so it is a win-win. That one has done pretty well for us. TGR: What about companies that were mining other commodities and have shifted to silver? DM: Prophecy Development Corp. (PCY:TSX) is an interesting situation. I've been involved with the company and owned stock in it. It's primarily a bet on CEO and Chairman John Lee, a man I've known for years, and I value his ability to manage well, get things done, think outside the box and buy value. When Prophecy took over the coal project in Mongolia, which I visited, it was very impressive. It was a good buy at the time, but very few people, if any, foresaw the devastation throughout the commodity sector that has occurred. However, Lee continues to look for value. He found Apogee Silver Ltd.'s (APE:TSX.V) Pulacayo project and bought it last year. David Smith visited and it is one of the highest-grade silver projects on the planet. I compare it to Silvercorp Metals Inc. (SVM:TSX; SVM:NYSE). This was a very rich mine in the beginning and had grades that were phenomenal relative to what we see in today's market. He bought that property for an extremely good price relative to silver's potential. I think Prophecy Development is doing it the right way. When things turn around, it could be one of the more significant small companies in the silver space. TGR: Are there some silver-focused stories that would be well positioned if people started to gain confidence and the price started to go up? DM: We have followed MAG Silver Corp. (MAG:TSX; MVG:NYSE) for a very long time. In fact, before anyone even knew the name, I was given a preview to the company by Dr. Peter Megaw, MAG chief exploration officer, whom I consider a friend and mentor. MAG Silver has two projects in the Mexican Silver Belt, the Valdecanas and Juanicipio properties. The company did get into a problem with joint venture partner Fresnillo Plc (FRES:LSE) that has been straightened out. You don't need to look much further than MAG Silver if you're really a silver bull to put something in your portfolio that I think for the longer term will certainly do well. "Silver Wheaton Corp. is extremely undervalued by almost any metric." Bear Creek Mining Corp. (BCM:TSX.V) was on the recommended list for quite some time, but with the devastation of the commodity sector, we listed it on a speculative basis. The Corani project in Peru just released an updated feasibility study and it's exceeding our initial expectations. Everything has just gotten better except the share price. That's what's so frustrating in this business. Companies do so much work to bring value to the shareholders, yet the price is lower than ever. The good news for people who have patience and willingness to stand by their convictions is if a company is a good price at X and now it's selling at 50% of X, it's obviously a better buy. That is the case for Bear Creek. TGR: At this stage in the market, is the streaming model both an opportunity for the streaming companies to get deals and for investors to invest in streaming companies? DM: We have always favored streaming companies because there is less risk. We still like them. We have several in The Morgan Report from the top tier, midtier and even the speculative section. Sandstorm Gold Ltd. (SSL:TSX; SAND:NYSE.MKT) has top-quality management. The stock has been beaten up. I think it's underrated compared to its potential. We're still holding on because we know that 1) the model works and 2) when a company has the ability to do financings at low prices that gives the investor extra leverage. We like the idea that you're "safe" relative to other situations. The company isn't depending on one mine development going smoothly. A streaming company is more likely to stay in business. Silver Wheaton Corp. (SLW:TSX; SLW:NYSE) is also extremely undervalued by almost any metric. The Canadian authorities have brought up the tax situation. The company has always answered consistently. So I think its stock price movement is overdone, which makes it a great value investment. We still like the company a great deal. TGR: I understand there's a new story about a mobile mill that you're including in The Morgan Report. Do you want to mention that? DM: It's something that we have been following closely. It's really a technology company for a self-contained unit that recycles the water and goes almost anywhere. This mobile mill allows miners that have gravity feed material—gold that could be separated in a gravity process—to use this technology and produce gold. This mobile mill could be brought on a site, and within a few weeks the rock is milled and sold with part of the profit going to the technology company and the rest going to the company that utilizes this process. The beauty is that a mining company wouldn't have the capital expenditure for a mill that dilutes shareholders. This is something that's never been experienced in the junior sector before to my knowledge. "Trevali Mining Corp. has pretty good silver exposure, so it is a win-win." The problem is that the company is making some structural changes that are significant to shareholders, and we had to put the report on hold. But once we are allowed to, we will do a complete write up for subscribers. I want to stress up front that I own it and it's a highly speculative situation. It also could be a spark that gets investors excited about the juniors again and perhaps even the entire sector. TGR: You are going to be speaking at the New Orleans Investment Conference in October and the Silver Summit in San Francisco in November. What do attendees need to understand about investing in silver in 2015? DM: We still like silver as a part of a balanced investing approach, and it is undervalued. If you take the true money supply versus the amount of silver aboveground, we're at as low a price today as we were at the bottom of the market in the early 2000s. This means that the amount of paper money that has been printed is the same on a per-ounce equivalent. Based on the overspending that all the world's governments have done, you're actually buying in a very safe zone. We're also very undervalued in the gold market. Both of these sectors have lost a lot of interest from the investment community. A lot of them have left the sector, but those who really analyze the markets have a little bit of an edge. They realize what the true picture is. So I would say the remainder of this year is a good time to be buying into these markets. I've always advocated that precious metals should be a part of your overall strategy, not your only strategy. Because of that, my early recommendation was about 10% in the precious metals. Early on, I upped that to about 20% because the world had become more uncertain. If you average the two, that's 15%, the amount recommended by Ibbotson Associates Inc. for the highest return for investors at large. That is still a good place to be. TGR: Thank you for your time, David. David Morgan (Silver-Investor.com) is a widely recognized analyst in the precious metals industry; he consults for hedge funds, high net-worth investors, mining companies, depositories and bullion dealers. He is the publisher of The Morgan Report on precious metals, the author of "Get the Skinny on Silver Investing" and a featured speaker at investment conferences in North America, Europe and Asia. 2) The following companies mentioned in the interview are sponsors of Streetwise Reports: MAG Silver Corp., Silver Wheaton Corp., Trevali Mining Corp. and Bear Creek Mining Corp. The companies mentioned in this interview were not involved in any aspect of the interview preparation or post-interview editing so the expert could speak independently about the sector. Streetwise Reports does not accept stock in exchange for its services. 3) David Morgan: I own, or my family owns, shares of the following companies mentioned in this interview: Trevali Mining Corp., Prophecy Development Corp., Sandstorm Gold Ltd., Silver Wheaton Corp. I personally am, or my family is, paid by the following companies mentioned in this interview: None. My company has a financial relationship with the following companies mentioned in this interview: None. I was not paid by Streetwise Reports for participating in this interview. Comments and opinions expressed are my own comments and opinions. I determined and had final say over which companies would be included in the interview based on my research, understanding of the sector and interview theme. I had the opportunity to review the interview for accuracy as of the date of the interview and am responsible for the content of the interview. Want to be the first to know about interesting Gold, Silver and Base Metals investment ideas? Sign up to receive the FREE Streetwise Reports' newsletter. 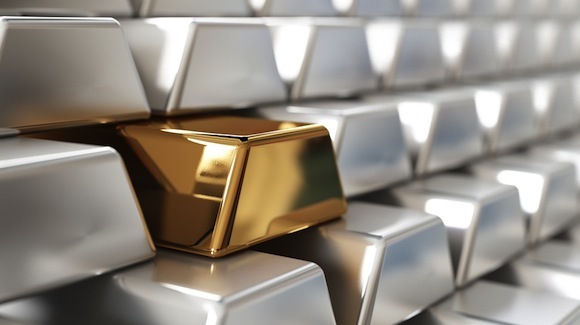 Want to read more about Gold, Silver and Base Metals investment ideas?